Having a background in Music has given me some insight into creativity and I have a particular interest in this field. I have been really lucky to have worked with many artists during the time I have been practicing. Being an artist and working in creative industries often takes great courage and confidence to show work to the world. Irregular or long working hours can take a toll on relationships and mental health. Working together to understand the balance between stress and relaxation really helps clients to find a place where creativity can flow. People can encounter stress in many aspects of modern life. Emotional thinking and unhelpful thoughts can hold us back in our jobs, when we study, taking part in sports and other recreational activities that we pursue for fun. 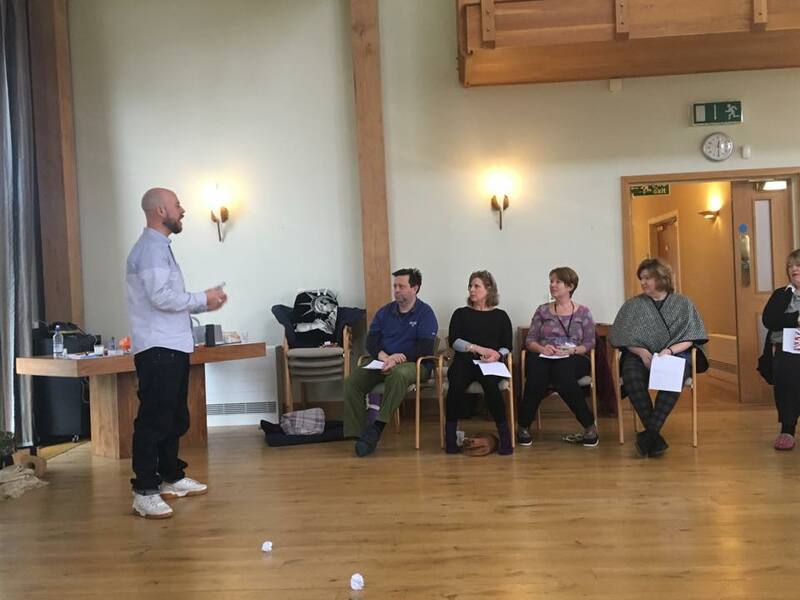 Working in a group setting I give talks and run workshops that concentrate on helping people to understand their thoughts, emotions and why our minds behave as they do. We look at the neuroscience of why we can suffer in the ways that we do, examine the importance of focusing on the positive aspects of life and find ways of increasing happiness and building resilience. Stress at work is bad for business! Introducing better well being initiatives into your workplace or business can reduce the amount of sick leave taken due to illness, stress and mental health problems. It will also help to foster a more positive environment where employees are encouraged to use the whole of their logical, creative intellectual minds and so, can increase productivity. I can employ my experience in this field either by talking to groups and holding interactive workshops, or, by having 1-2-1 sessions with individuals encouraging them to work through any issues that might be holding them back. Please get in touch if you would like to discuss how we can introduce some methods to increase the clarity, focus and motivation to move your business or organisation forwards. Using these solution focused methods when coaching teams can enhance group dynamics and relationships, encourage teams to work to their strengths, build courage, find common goals and eliminate negativity. Just having some understanding of how the mind works and looking at the benefits of supporting, and being supported by, others can really improve how teams and groups work together. Once anxieties and worries creep into a group environment they can spread throughout other team members very quickly. This behaviour make sense from an evolutionary standpoint, but studies show pervasive negativity decreases productivity (more here). I have a background in music and so enjoy helping musicians, and other artists, increase their creativity through collaboration. Working in such a positive way really enhances the work I do with children, young adults and the people that work with them. There is an awful lot of pressure on children throughout their learning careers as well as the teachers that support them, and this pressure does not seem as if it will let up anytime soon. Looking at ways for young people to understand those pressures and how we process and store them in the mind is a great way to help start building healthy coping strategies. Part of my professional responsibilities are to continually improve my understanding of the brain and I take a great interest in how children develop and grow. I have 2 young children and found my own teenage years pretty difficult. I really enjoy working with the energy that comes from young people and their ability to understand the concepts I talk about are usually much better than adults! If you would like to discuss how I could come and talk in your particular setting please click the contact link. I have developed some different interactive, fun and creative workshops that can be tailored to suit your needs and am more than happy to work with and consult on any ideas that you may have in mind.